In a bid to assist the Liberian government’s effort to connect all county capitals by paved roads, the ECOWAS Bank for Investment and Development (EBID) has approved a US$50 million for construction of the road in Grand Kru County. The regional bank reached the decision on March 5 at the 61st meeting of its Board of Directors in Lome, Togo, according to a statement. 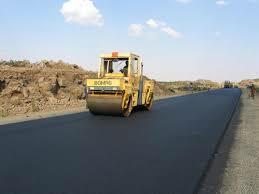 The funding is partial financing for the construction of the Sasstown-Klowein-Road project which is about 50 kilometres. In November last year, EBID agreed to build a 115-kilometer road estimated to cost $100 million in southeastern Liberia. The road will help to elevate economic activities in those areas, as indicated in a transmittal dated November 16, 2018, from Abuja. The move by the bank was based on a request made by the government of Liberia for support to its development drive which places roads as a top priority. The Liberian government had reiterated its continued exploration of new ways of innovative financing to enable it is achieving its goal of connecting the country by the end of 2023. EBID is the financial arm of the ECOWAS which comprises 15 Member States, namely Benin, Burkina Faso, Cape Verde, Côte d’Ivoire, The Gambia, Ghana, Guinea, Guinea-Bissau, Liberia, Mali, Niger, Nigeria, Senegal, Sierra Leone, and Togo. The mission of EBID is to assist in creating favorable conditions for the emergence of an economically strong, industrialized and prosperous West Africa that is fully integrated into the global economic system with a view to taking advantage of the opportunities and prospects offered by globalization.